As promised, the second part of this post will be about Astral Projection. 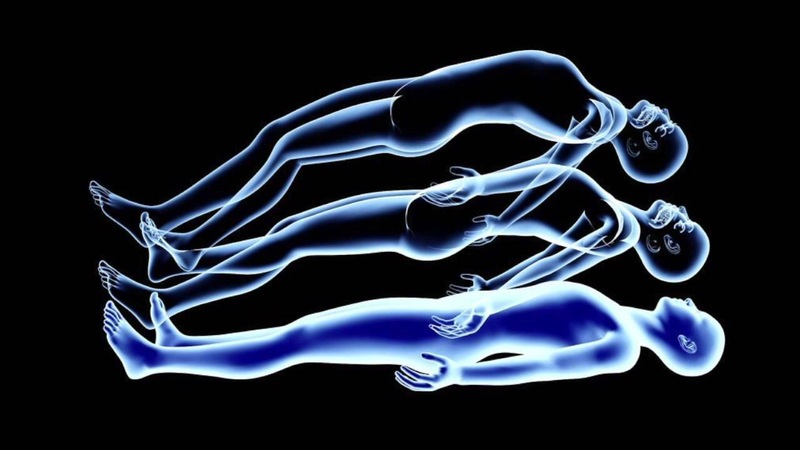 Astral Projection of Out Of the Body Experience is when you travel into somewhere while asleep or ‘without your physical body’. This is why this phenomenon is also known as Astral Travel because it is believed that your soul travel to places while your body stays on your bed (if you are doing it while sleeping﻿). There is no scientific explanation for this phenomenon because according to science, it is not supposed to happen. Science simply classify Astral Projection as hallucination because the existence of the human spirit is yet to be proven so obviously there is no explanation why your spirit can leave your body and walk around your house or something like that. Others dismissed it as a type of dream. 1) Calm down by meditating. This will help you clear your mind from stress and anxiety that will prevent you from Astral projecting. 2) Lie down in a comfortable position. You don’t have to lie down straight on your back. It is sufficient that you feel comfortable because if you aren’t, you will have problems meditating to clear your mind. 4) Move parts of your body with your mind. You just need to picture yourself moving your arms or legs without actually moving them. Once you are able to do this, you should be able to enter the ‘vibration’ period and ‘leave’ your body. All these steps doesn’t guarantee that you will experience Astral Projection. Some say that when you are able to Astral Project, you should turn around to look at your body because you might see some ghosts or demons sitting next to it. It may also cause you to experience extreme shock which might make everything go wrong. Personally, I think Astral Projection is not a hallucination but rather it is real because I believe in the existance of spirits. Some people who had experienced it reported that they see many kinds of ‘creatures’ while Astral Projecting. The majority of them will say that they really believe that Astral Projecting is dangerous because they say there are ‘bullies’ on the ‘Astral Plane’. Some even say that Astral Projection is just a kind of glitch because they strongly believe that the world is just a simulation. I have a theory that Astral Projection which the main cause of the existence of ghosts. What if ghosts are only people who are Astral Projecting. When you see them, they freak out and that is why the quickly return to their body which would explain why some ghosts disappears when you came closer tho have a look.